I got many difficulties to be able to compile Gimphoto under Linux, this happen may be because Linux is a new development platform for me, but until now i still can't create development environment for compile Gimphoto under Linux. - for internet connection i use DKU5 Nokia cable data, and no driver for this on Linux. - apt-get depend too much to internet connection, so for country with slow and not reliable connection like Indonesia, this is disaster (>.<") and gdebi didn't resolve depedencies hell. 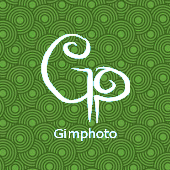 So i decided to release the Gimphoto 1.4.3 source code, rather than waiting any longer for me to be able to compile Gimphoto under Linux, maybe somebody can help me to build and make Gimphoto binary installation under Linux. Actually i want to create special section for "SOURCE CODE" at this site, but for now all information about source code release will be post on this page. Because my internet connection is not so reliable then as usual i split 20Mb source code file to 5 parts, that can be joined later to create .tar.bz2 package. I ask for help to compile this source code under Linux or MacOS X. Later i will add instructions about additional plugin, brushes, and gradients that must be added because many resources is still need to be modified at binary level. i can't help to compile,but maybe i may suggest how to avoid library conflicts. Trick was simply to create a new directory in a different prefix ( i used "opt" and compile and build there everything needed. But as i said i'm not good to compile ...that was successful also thank to a guy that posted on the Ubuntu forum all the command to do it ready for copy and paste in the terminal. But anyway that principle (to avoid conflict install in a different prefix then the other SW, "opt" seems a good choice) may help. - Are you sure? Have you tried on Linux Mint, which supports virtually all drivers? - Are you using an older GTK library for GimPhoto? - yes, i knew that every program uses library files but the problem is the dependencies, if using apt-get then apt-get will handle that dependencies (if not exist then they will download it) but how if we not connected with internet? Sure you will waste some space on your HD (you will get duplicates also for the library that are compatible)but should be not other problem. if you install "checkinstall" and when building instead then "make install" you will type "checkinstall" you will get as extra bonus also a ubuntu packadge, with good chance that will works on other computer out of the box. Official packages have much more requirement, but again that simple process works well most of the times. Why on earth do you split the source? I can only think you are trying to discourage people from compiling from source on their own, and you've made me suspicious. i'm really sorry but i don't want to discourage people to compile GimPhoto. I split the source because my internet connection is not so realiable to upload big 20Mb in one step, i only be able to upload about 5-6Mb for each uploading process, beyond that size will failed.